Welcome to B&B Overhead Door LLC. In business for over 35 years, we are proud to still be family owned and operated. We serve the greater Hartford area with residential and commercial garage door service and installation. We take an honest, old fashioned approach to each individual job, providing excellent work and first-rate customer service. With thousands of successful installations over our lifetime, we have chosen Garaga as our main distributor. The quality and craftsmanship of their doors can’t be beat. It’s our goal to showcase the importance of quality, safe and beautiful garage doors. We believe Garaga lets us do just that. To see their wide range of products, please visit our image gallery. Interested in learning more about your next garage door? Come and visit our showroom, located at 16 Progress Circle, Newington, CT. If you would like a free estimate, please complete our online quotation form, and one of our experts will be happy to prepare one for you. To complete your overhead door system, you need to choose a reliable door opener. The opener is responsible for the safe lifting and lowering of your garage door. It’s important to choose an opener that’s well-built, strong and safe. At B&B Overhead Door LLC, we take pride in the reputation we have built for honest prices, friendly and timely service, and the best products on the market. That’s why we choose to carry LiftMaster brand garage door openers. Manufactured by the Chamberlain Group, their products are the safest, most technically advanced on the market. Their many accessories, including remotes, wireless apps and security monitors, make your overhead door system easy to use. You’ll never worry about your family’s safety when using your new LiftMaster door opener. LiftMaster has openers specifically built for residential and commercial applications. For more information on choosing the right opener for your overhead door system, please visit our door opener section. At B&B Overhead Door LLC, we take great pride in being an "old fashioned" business, knowing our own blood, sweat, and tears are the reason we have been distinguished as a top company in Connecticut for garage doors. 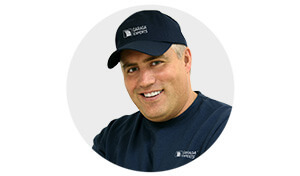 As Garaga Experts, our trained technicians can complete garage door installation, repair and maintenance services. We offer a preventive maintenance program to keep your garage door working like new. It’s our goal to make you, the customer, happy and comfortable when choosing a new garage door. The heart of our work is in residential retro‑fitting. To best serve all of our customers, we have also expanded into commercial, industrial and agricultural garage door systems. We are located at 16 Progress Circle, Newington, CT. Come and visit our showroom, open Monday to Friday, 8 am to 4 pm. If your garage door needs servicing, call us today at 860-666-9315 to book an appointment. Our technicians serve the Newington, Connecticut area, including Wethersfield, Glastonbury, Rocky Hill, Berlin, Meriden, Wallingford, Southington and more.